We hope you had a great summer! Here at Umbraco in Denmark we sure did enjoy the one month of warmth we were giving and are hoping for a bit of an Indian summer soon. Oh, and of course we have also been working on Umbraco, fixing a lot of bugs, the result of which is here right now, it's version 7.1.5! What's new? 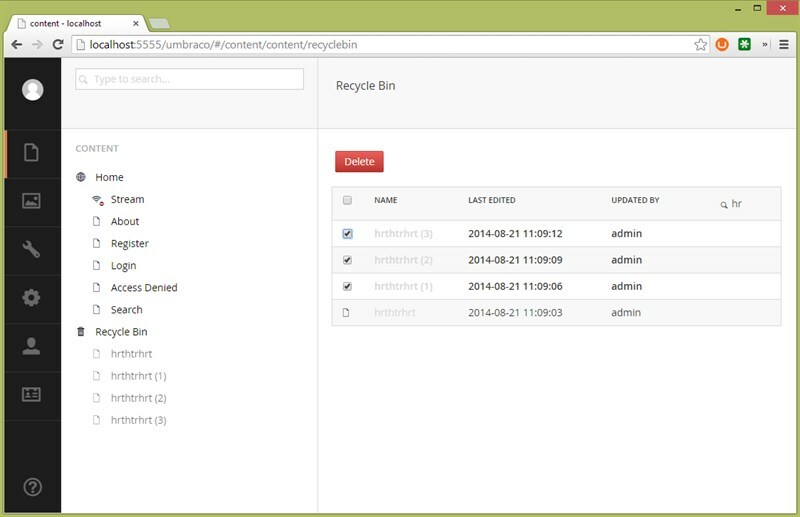 Apart from all those lovely bugfixes you might notice a few interesting things; clicking the recycle bin now give you a nice listview overview of items in the trash. Speaking of the list view, our friend Andy Butland sent us another delicious pull request making the listview much more performant when you have a lot of child nodes. He also made the search function in the list view better and the paging now actually works properly when you have sorted or searched. And other pull requests keep coming in as well, in fact 37 of the 104 closed issues for this release were a direct result of a pull request made by community members! Thanks everyone, awesome work, #h5yr! So without further ado: go check out the list of fixed issues and download 7.1.5. Update: after finding a few unfortunate bugs, we've released Umbraco 7.1.6 a few days later.